I have a confession to make: I sometimes rather enjoy a well-written snarky movie review. Like this one about Jupiter Ascending that made me laugh out loud. And this one about Fifty Shades of Grey. Opinions will vary and viewpoints can be quite different. It’s far easier to be the one dishing it out than to be the one who put their hard work out there and now sees it being unappreciated. Critics can definitely get it wrong sometimes, as “12 Classic Books That Got Horrible Reviews When They First Came Out” from the Huffington Post demonstrates. Many people who went on to become famous persisted through failures and rejections. “You’re Awesome: Firms Scrap Negative Feedback” from the Wall St. Journal reflects a movement away from performance appraisals to more of an emphasis on developing strengths. Why Evaluate Performance from The Huffington Post mentions maintaining a ratio of more positive feedback than negative, similar to research on predictors of survival or failure in marriage from researcher John Gottman. 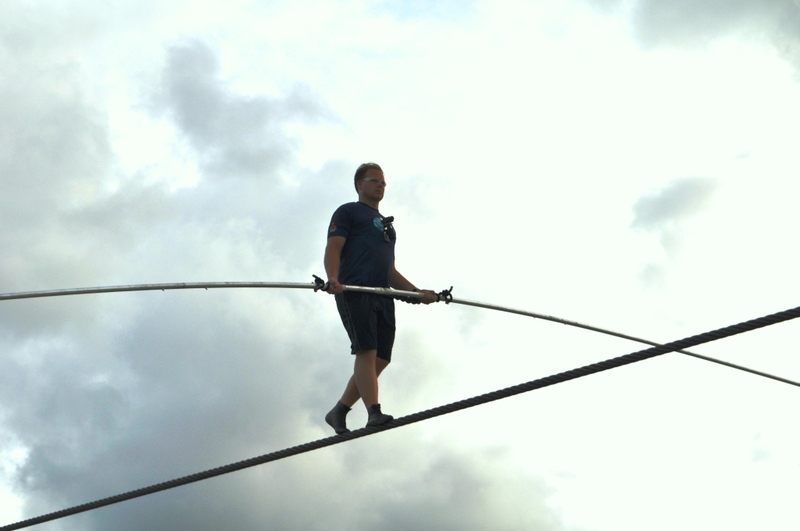 Walking the line between constructive criticism, appreciation and feedback can be like balancing on a tightrope. Feedback and appreciation are both keys to engagement at work. We need to know how we’re doing. Though it can be difficult to listen to, at times we may even need to hear about areas where there is room for improvement. Requesting feedback is one way to take charge of our own engagement at work. We can also devise ways to build in feedback on our progress with checkpoints on goals and projects to see how we’re doing. Learn more about The Art and Science of Giving and Receiving Criticism at Work at Fastcompany.